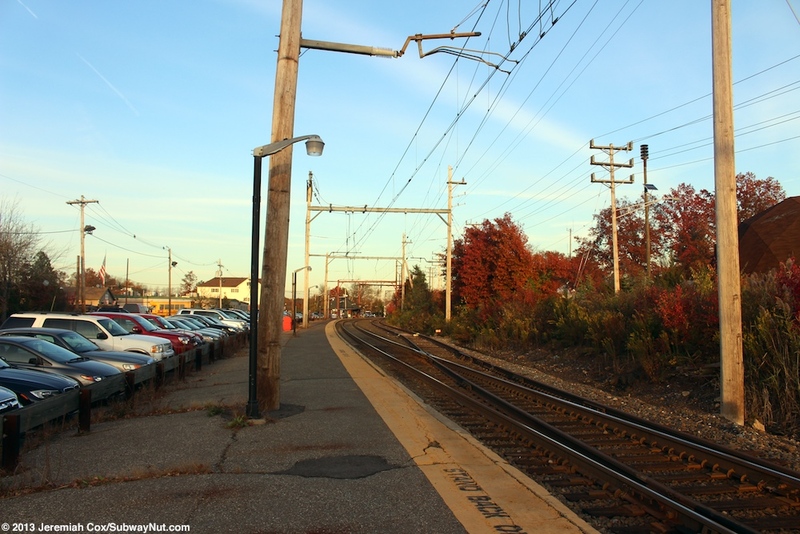 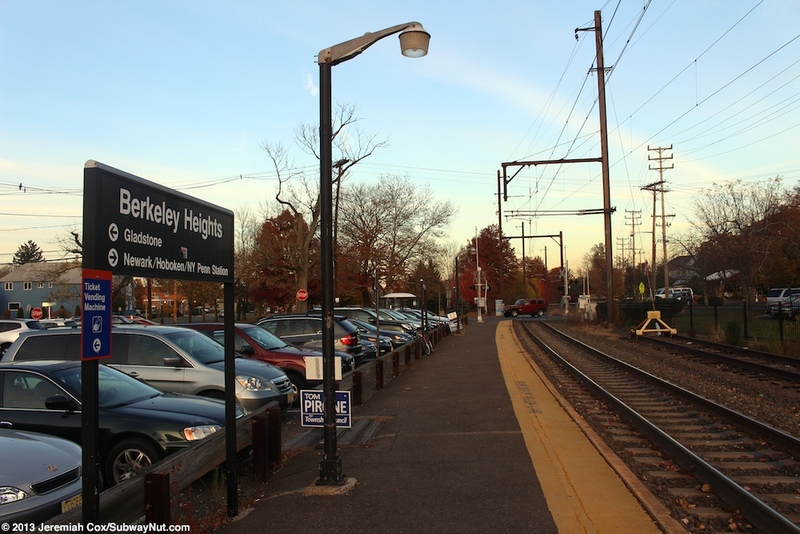 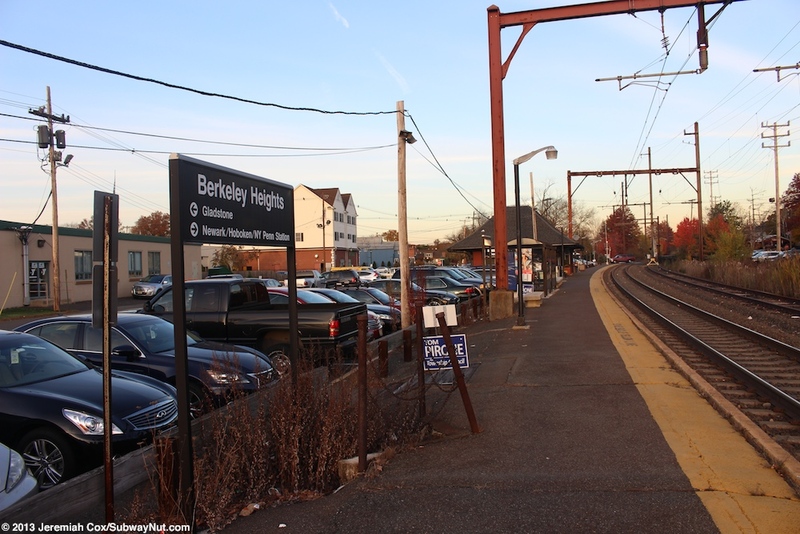 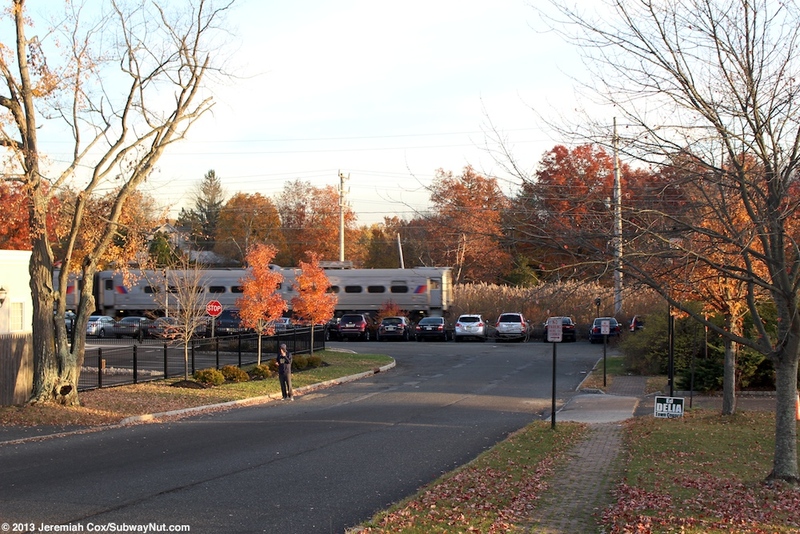 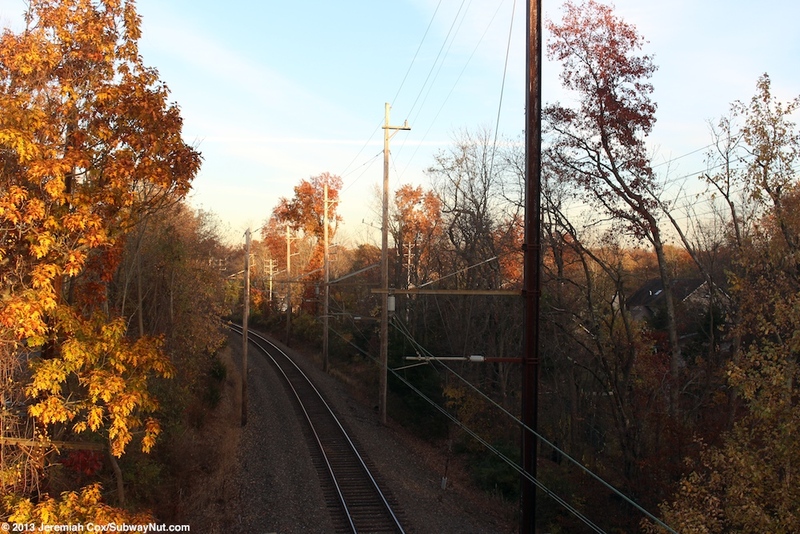 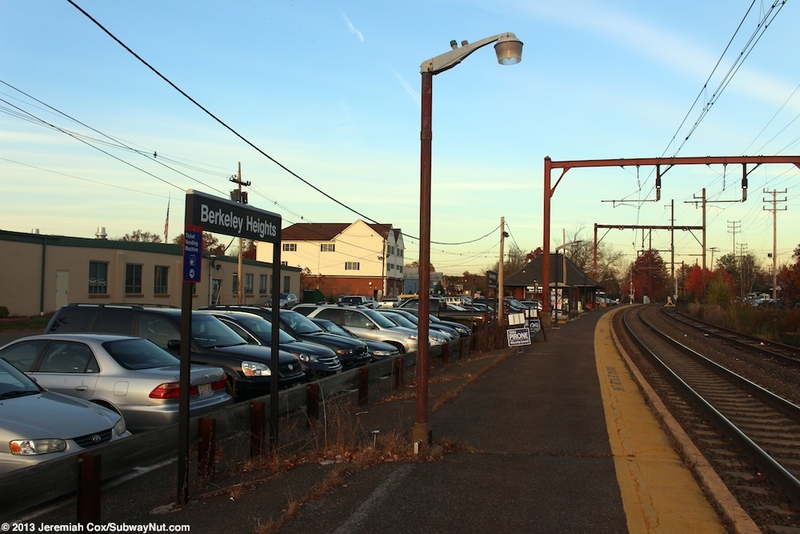 Berkeley Heights is a station on the Gladstone Branch with a single long low-level platform that can accommodate 10 cars and has just a decaying yellow line along the edge of the platform. 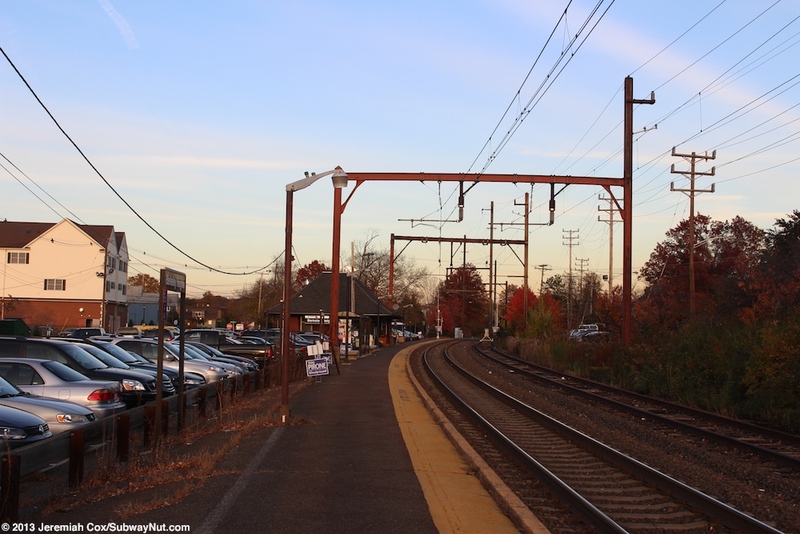 This platform begins at the grade crossing of Plainfield Avenue at its eastern end where the single track that platforms crosses it. 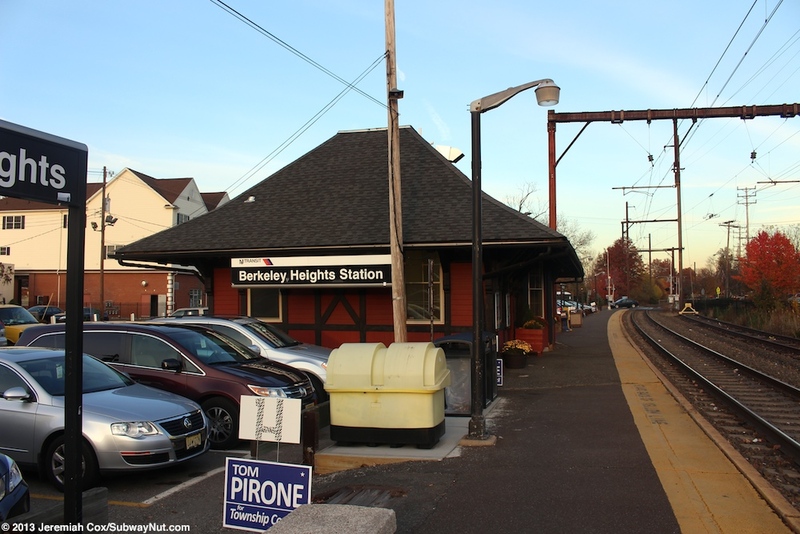 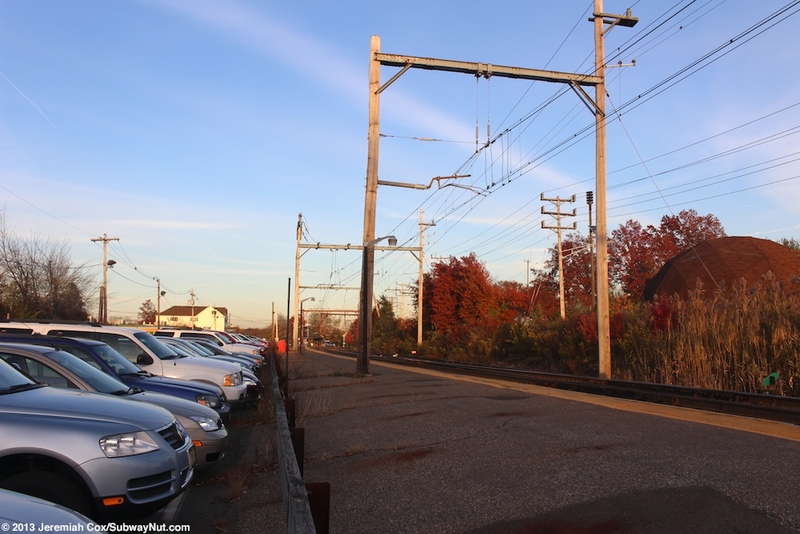 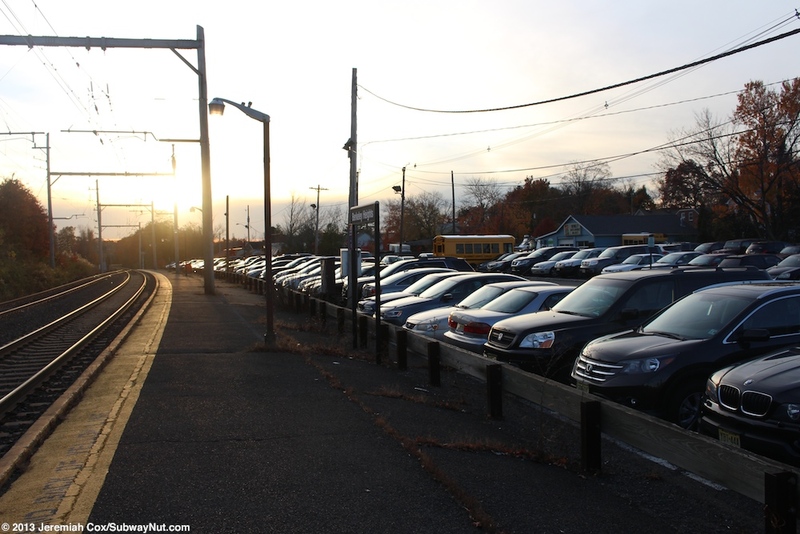 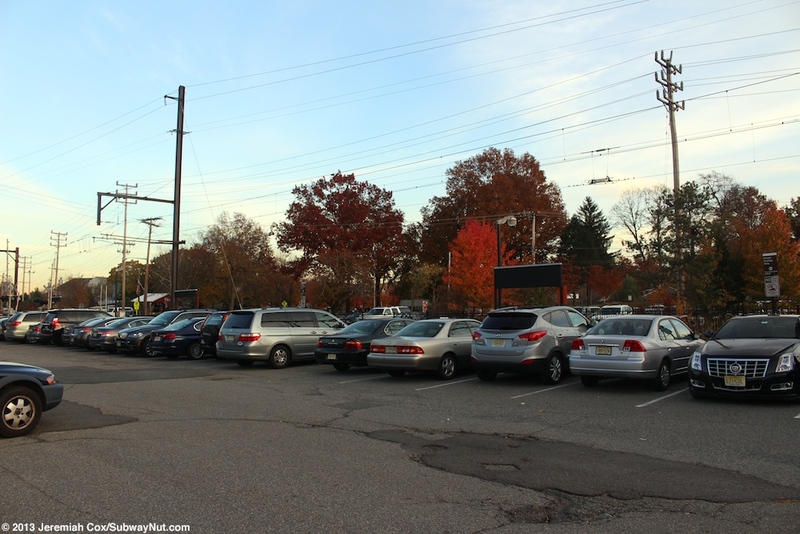 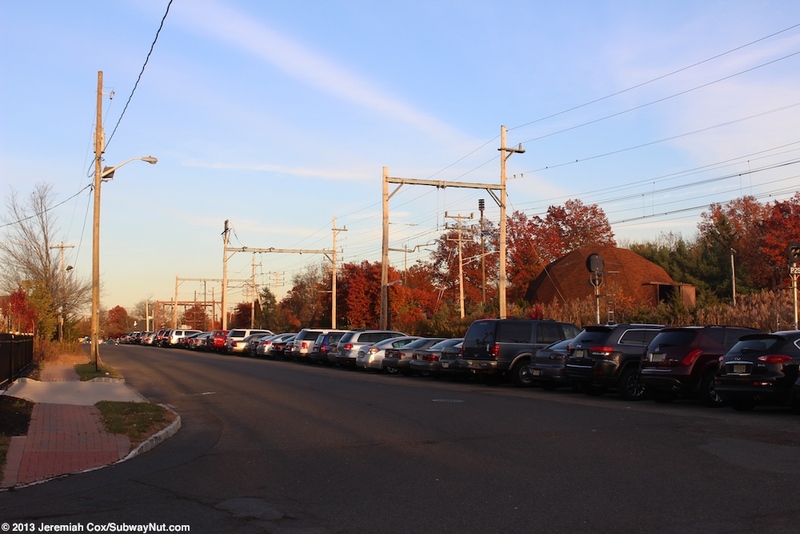 Soon there is a bumper block and the Berkeley Heights Siding begins that can accommodate approximately 6 cars and ends with a switch in the middle and near the western end of the platform. 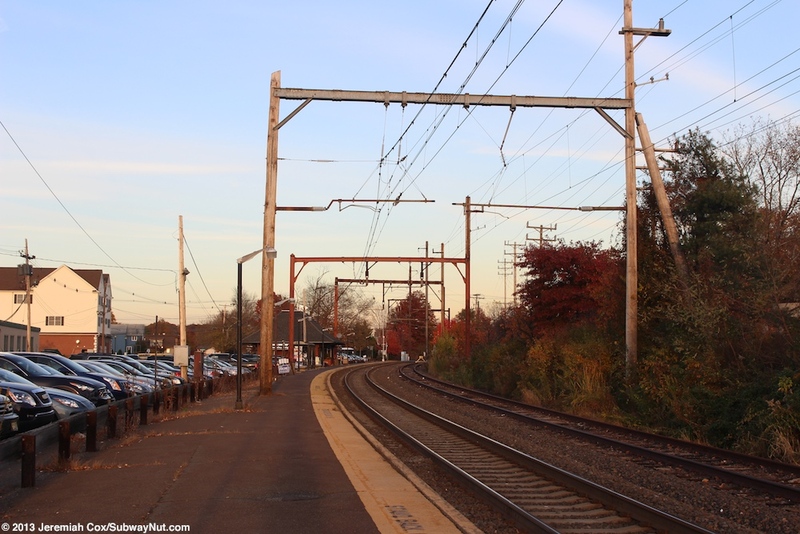 This siding along with the main single track are both electrified although this siding seems completely not useful since there is no access from the Newark-bound direction and Murray Hill already has an important passing siding at that station. 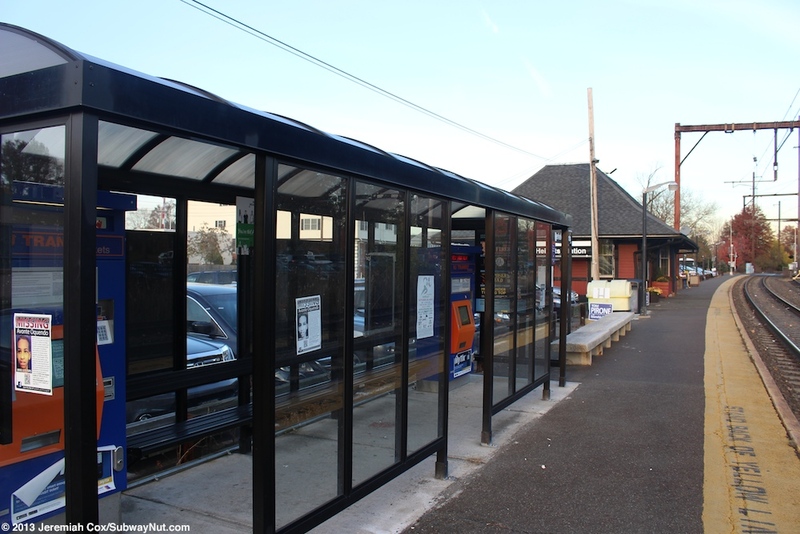 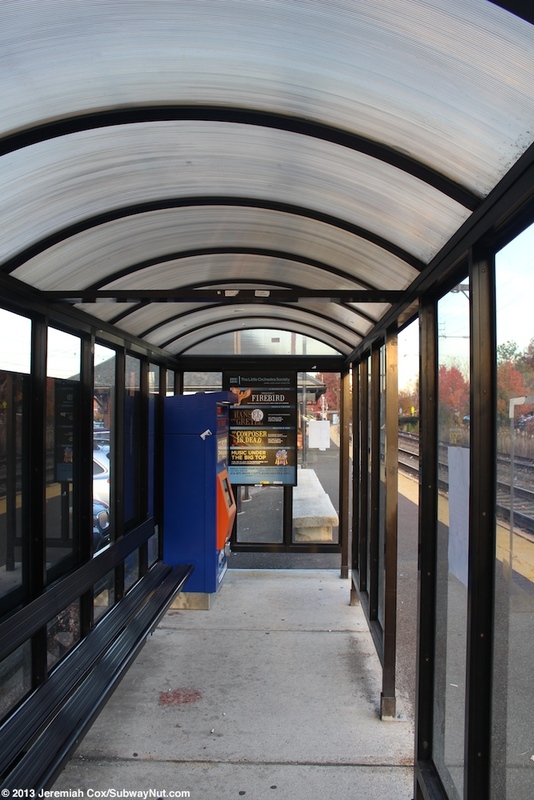 Amenities along the platform include the main 167 space permit only parking lot and a single bus style shelter for waiting passengers that includes a bench and two TVMs. 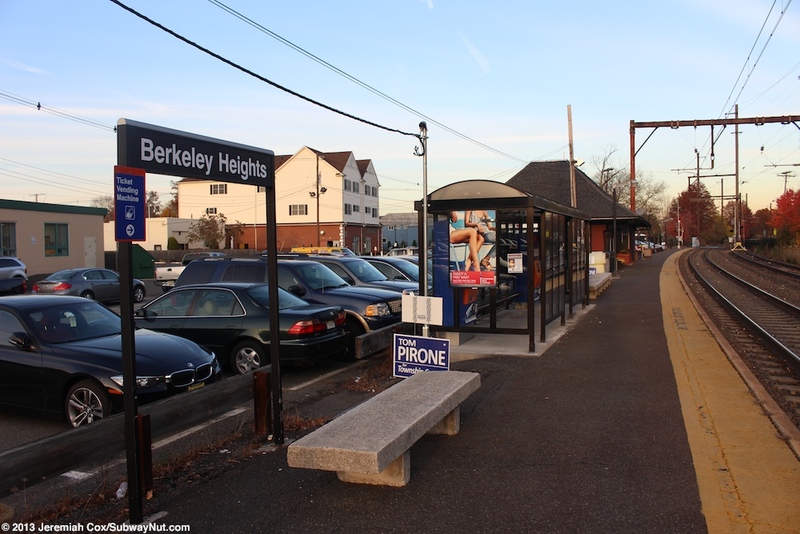 Outside the shelter are a number of stone benches. 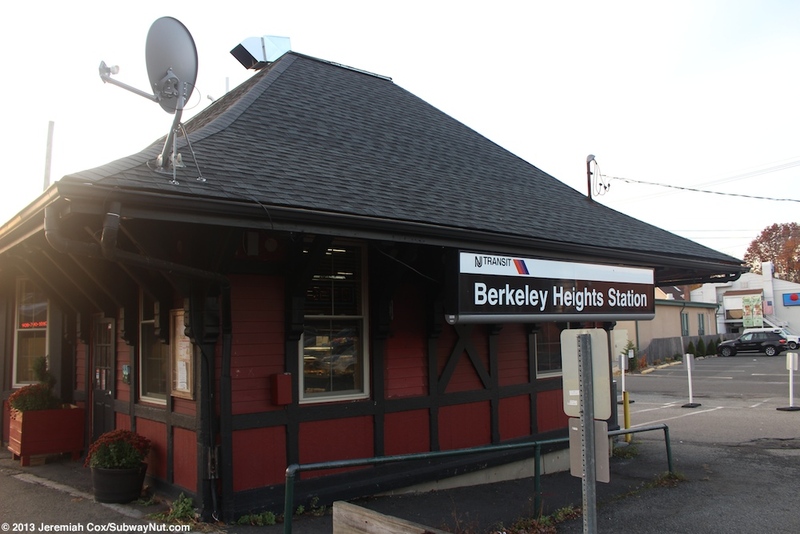 Next to the shelter is the station's red with black trim and a high gabled roof station house. 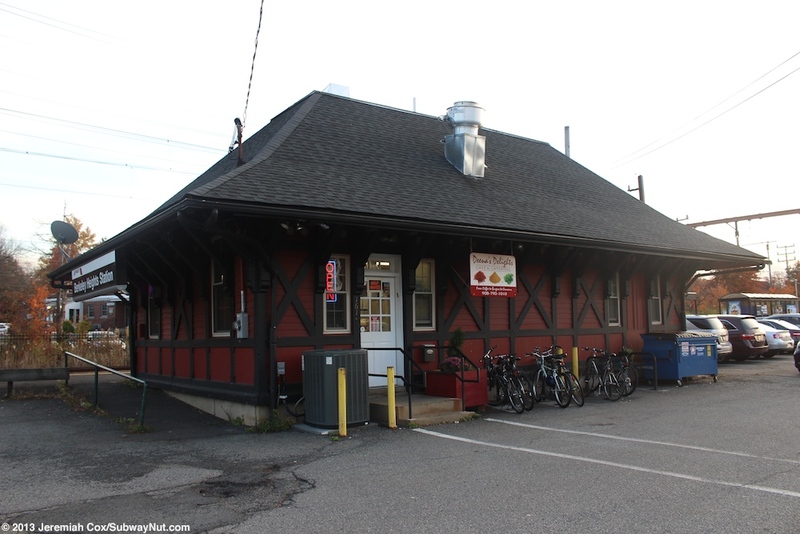 This building housed Moma's Caboose a local business until May 12, 2010 when a fire gutted the inside. 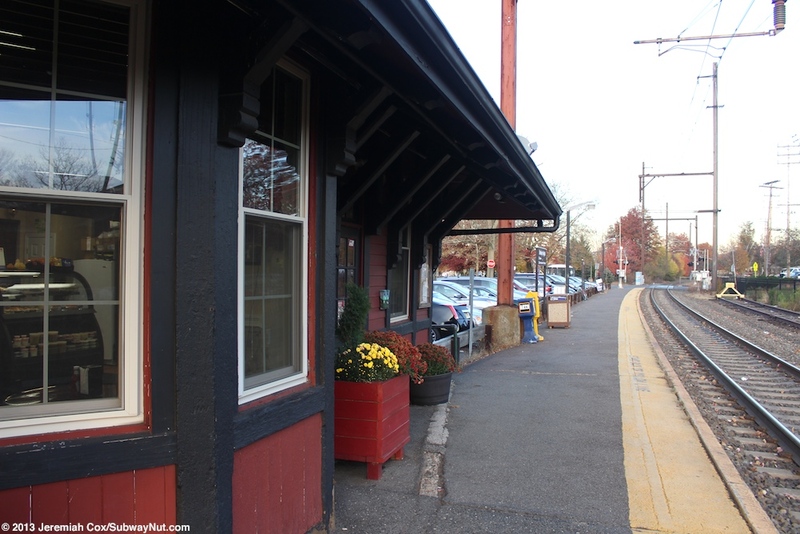 The township later restored the historic station to be a small waiting room and later leased it to Deena's Delights a cafe and caterer that now occupies the space. 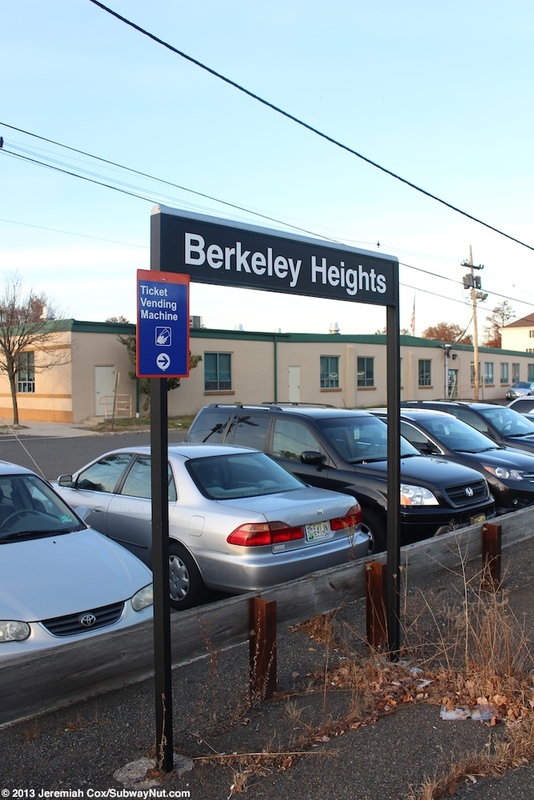 The cafe opened in early January 2013.